Lance Booth - lbooth@shawmedia.com Rodger Brandt, 69, of Union, organize for bratwursts at Wayne's Country Market in Marengo on Wednesday, March 27, 2012. Brandt has been working for the market since he was 12 and ended taking over ownership in 1984. Lance Booth - lbooth@shawmedia.com Rodger Brandt, 69, of Union, cuts a slab of meat at Wayne's Country Market in Marengo on Wednesday, March 27, 2012. Brandt has been working for the market since he was 12 and ended taking over ownership in 1984. 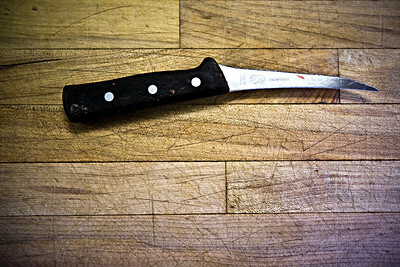 Lance Booth - lbooth@shawmedia.com A knife sits on a cutting board at Wayne's Country Market in Marengo on Wednesday, March 27, 2012. 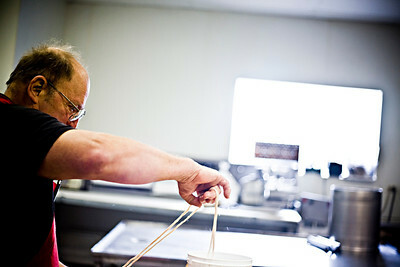 Rodger Brandt, of Union, has been working for the market since he was 12 and ended taking over ownership in 1984. 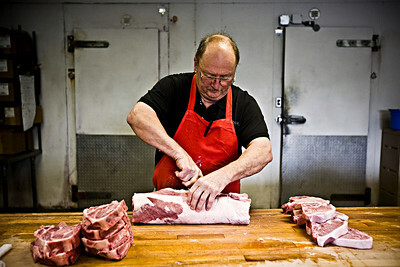 Rodger Brandt, 69, of Union, cuts a slab of meat at Wayne's Country Market in Marengo on Wednesday, March 27, 2012. Brandt has been working for the market since he was 12 and ended taking over ownership in 1984.